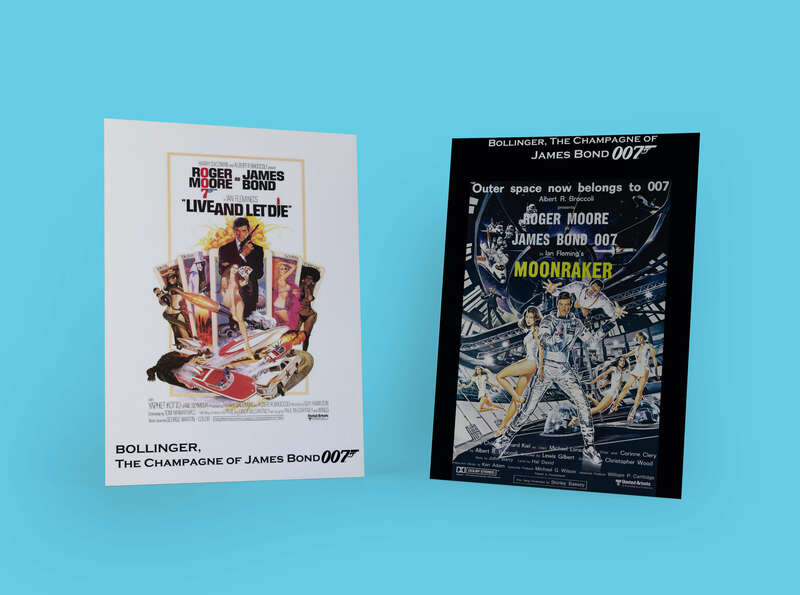 Champagne Bollinger has featured in almost every James Bond movie since Live and Let Die back in 1973. 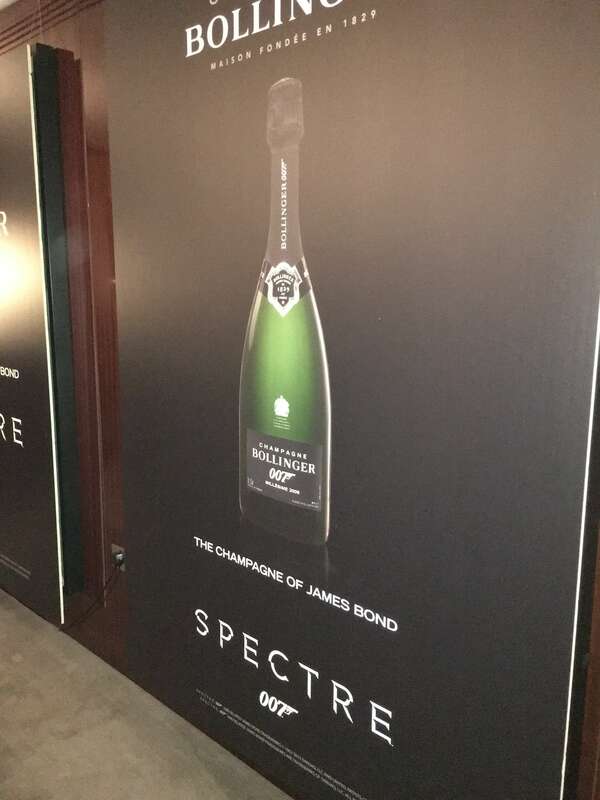 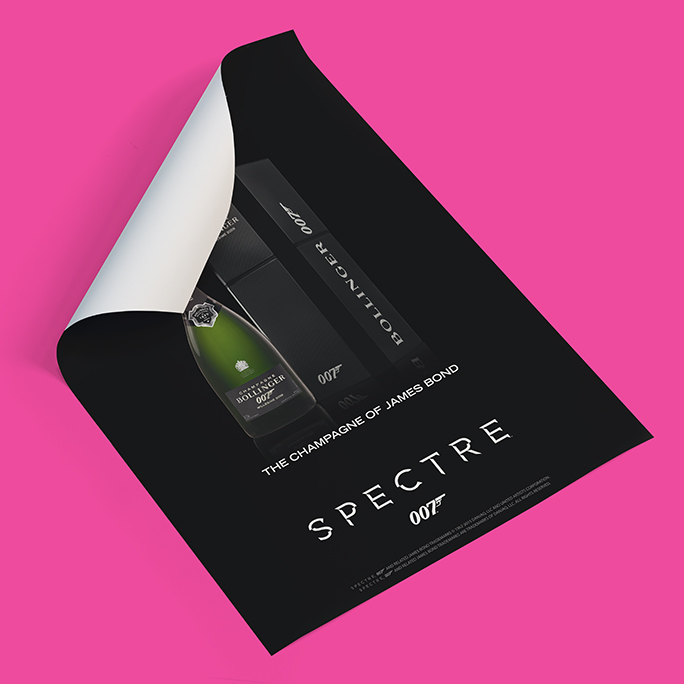 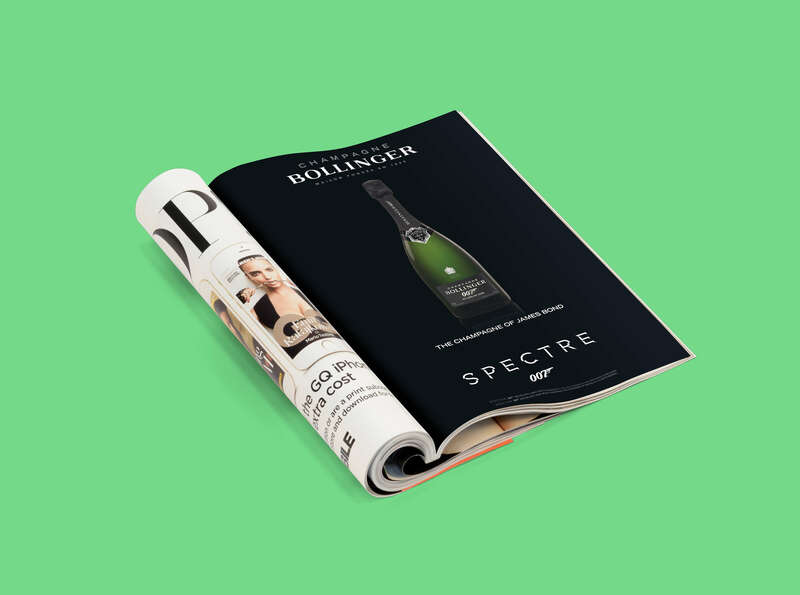 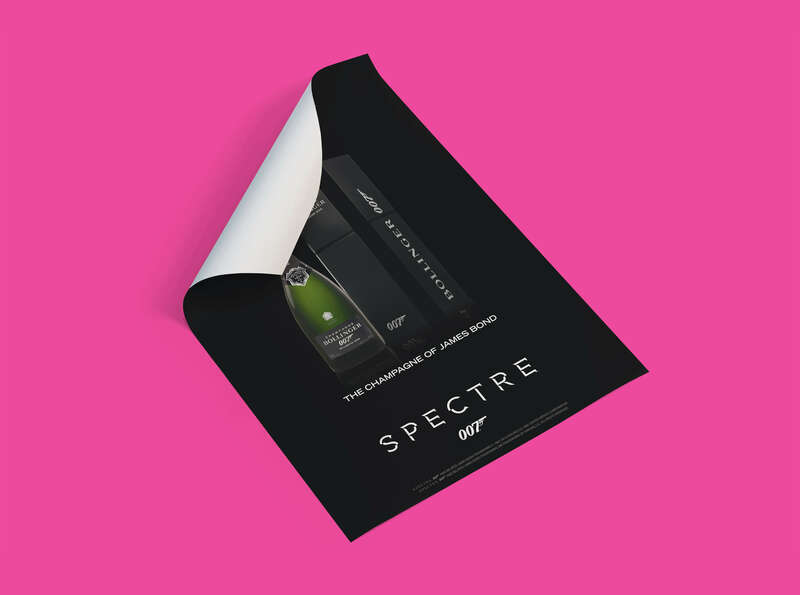 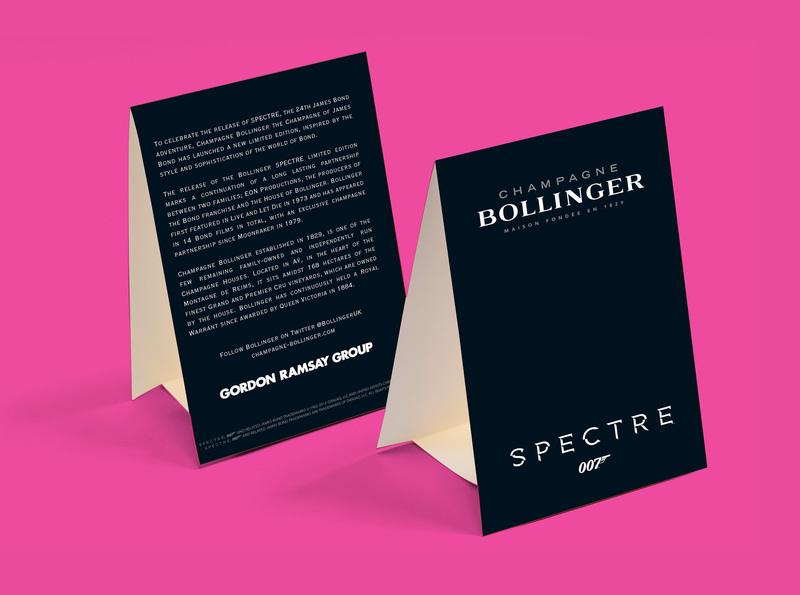 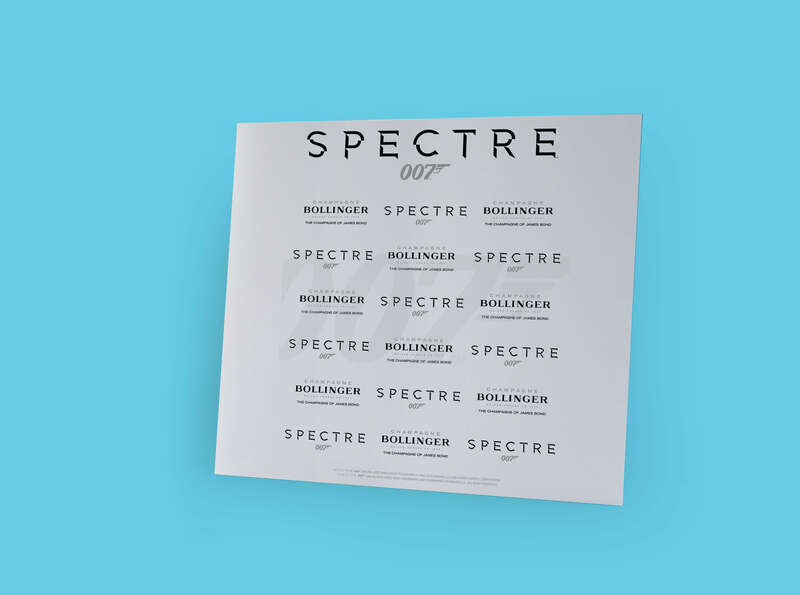 We were proud to be asked again by Bollinger to produce the print marketing for the latest 007 film Spectre. 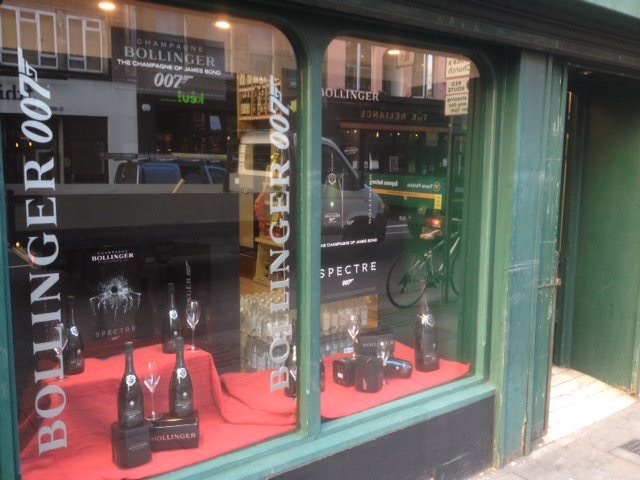 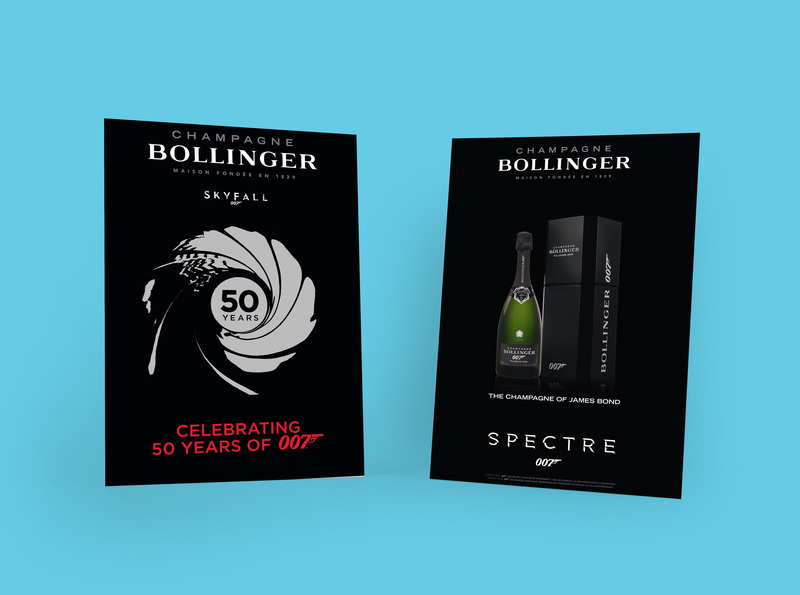 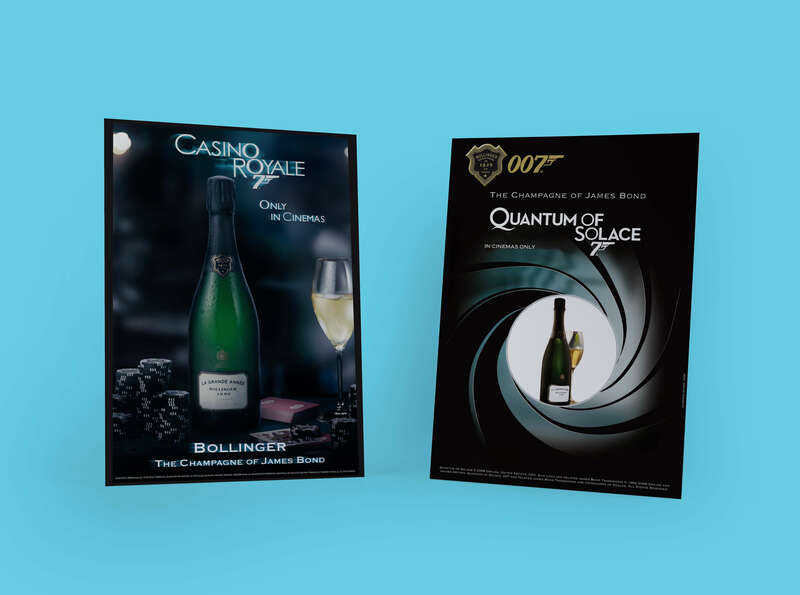 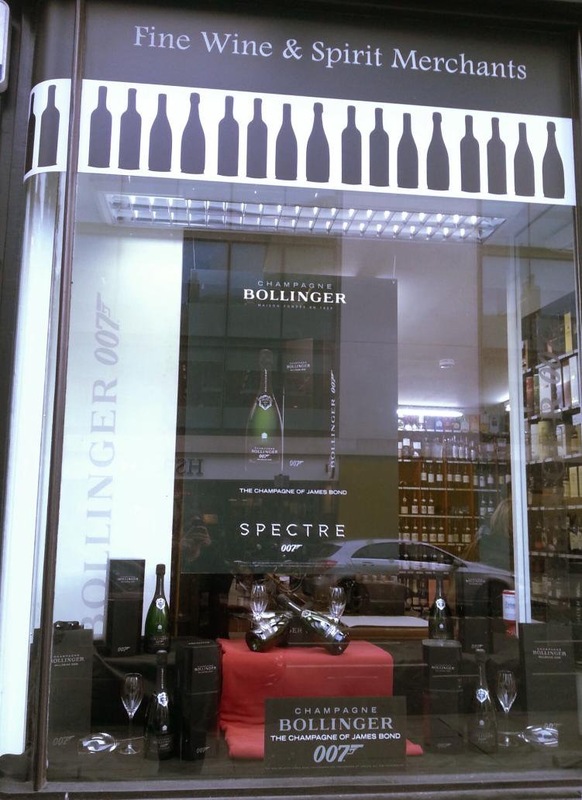 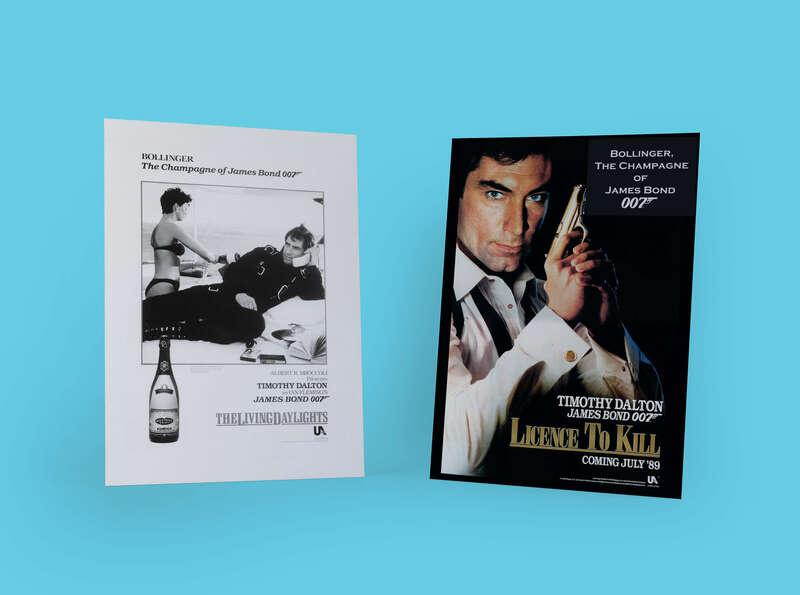 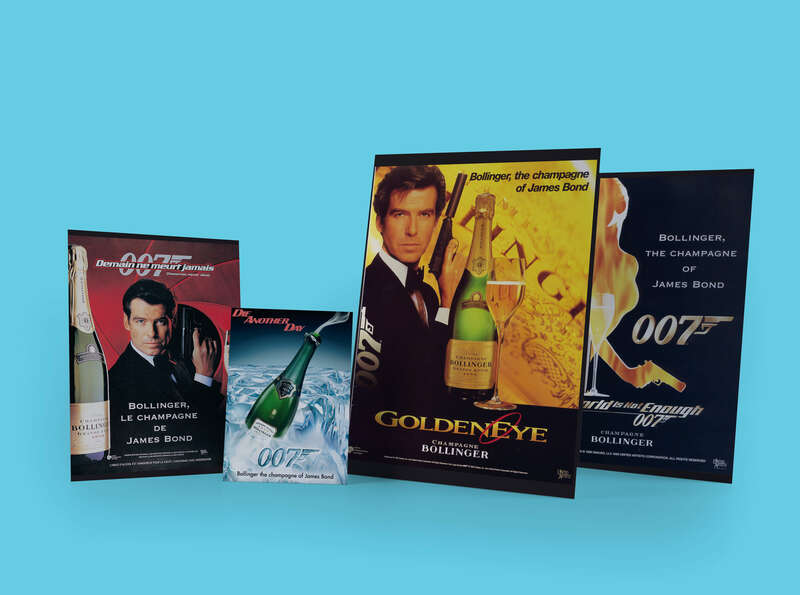 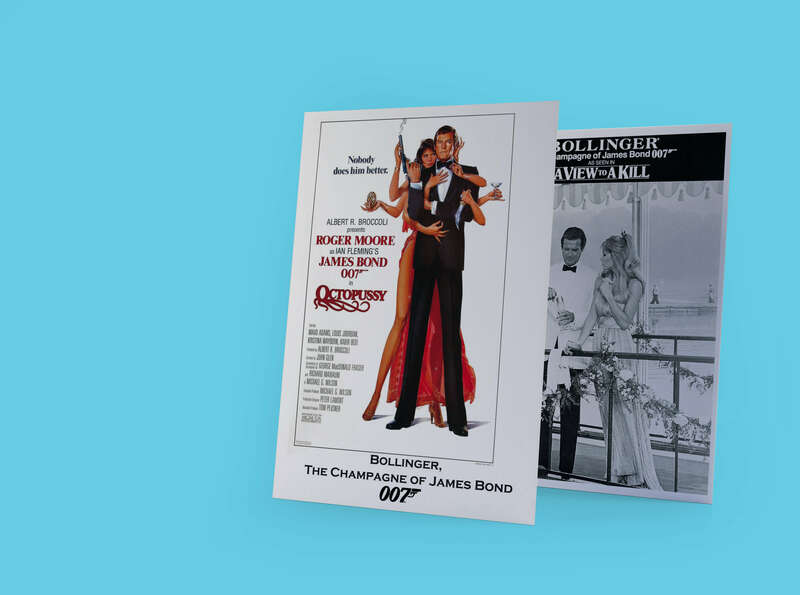 We initially produced a number of items including POS, press adverts, window graphics and large graphic boards showcasing the history of James Bond films and their close association with Bollinger over the years. 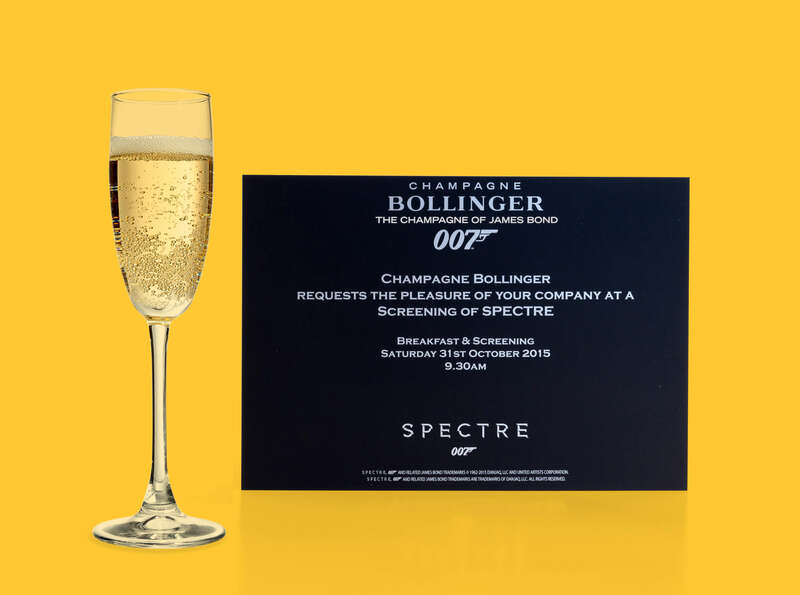 This was then followed by a request to produce some high end invitations for a special screening of the film, these were digitally printed on our HP Indigo onto a specially treated 400gsm metallic board for a premium finish. 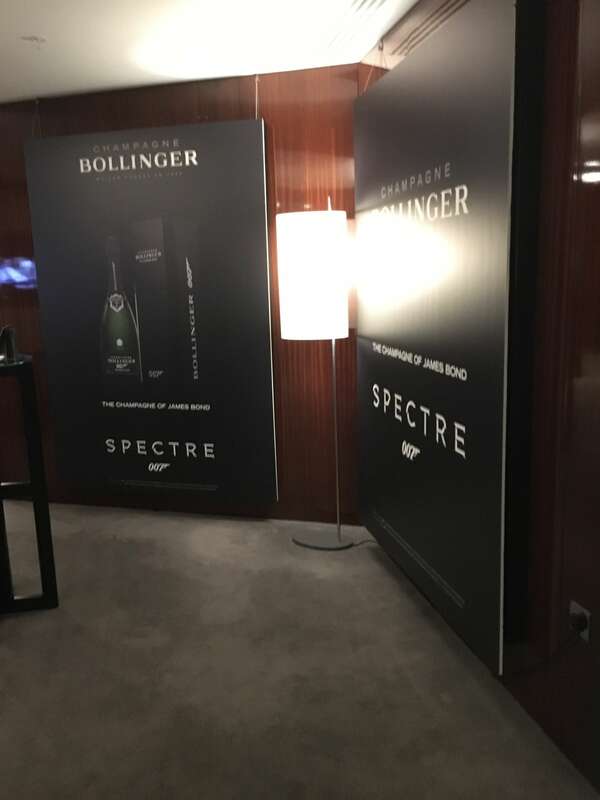 Then no screening is complete without a backdrop for the guests, which was designed, printed and installed by Datum.